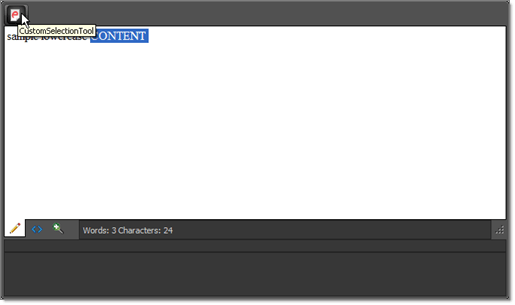 When implementing custom tools or dialogs, you may need to obtain the current editor selection in HTML form. The following solution shows how to do this using RadEditor cross-browser compatible, client-side methods. Use the client-side getSelectionHtml() method to retrieve the selected HTML and the pasteHtml() method to replace the HTML of the current selection. The example below shows how to obtain the current selection using a custom button, convert it to upper case and then paste it back (replacing the original text).